There is a city in east Texas called Cut and Shoot. 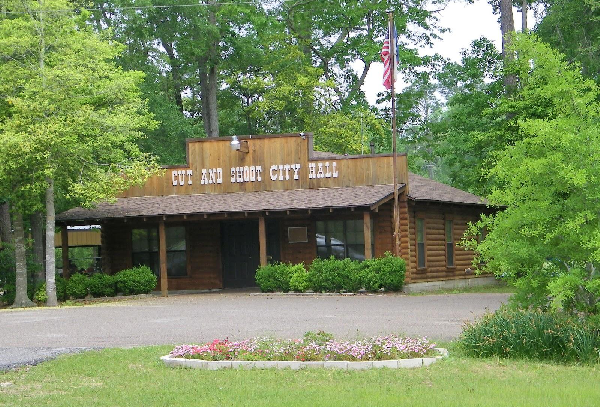 About 40 miles from Houston in Montgomery County, Cut and Shoot has a population of just over 1,000 residents, but voted to formally declare itself a city in 2006. The Cut and Shoot Police Department employs a total of three full-time police officers. While Cut and Shoot has not reported crime figures to the Justice Department in recent years, its officers made only 225 total motor vehicle stops in 2013 - fewer than one a day. And, courtesy of the Pentagon’s 1033 program, the Cut and Shoot Police Department has at least seven assault rifles to its name. While the Defense Department refuses to release agency-by-agency data from the 1033 program for the entire country, MuckRock has obtained this data for 26 states so far via records requests at the state level. States that released comprehensive inventory spreadsheets so far include Missouri, Texas, Florida and Maryland. Since the early 1990s, the Defense Logistics Agency’s 1033 program has transferred a wide range of excess military equipment — everything from office equipment to helicopters to weapons — to thousands of participating law enforcement agencies across the country. 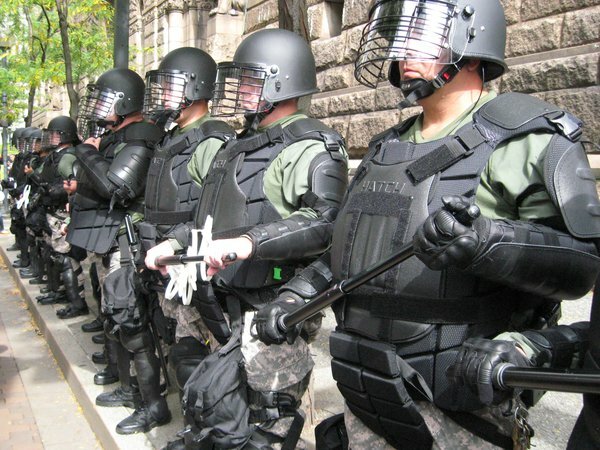 The program has come under considerable scrutiny in the wake of recent events in Ferguson, Missouri, where police officers with high-caliber rifles and armored vehicles have faced down protestors. The Defense Department has been loath to release detailed data for the 1033 program, particularly regarding which individual departments have received weapons, aircraft and other tactical equipment. Last December, the Defense Logistics Agency released two years of state-by-state transfer data to MuckRock, while the New York Times obtained data down to the county level in May. As dramatic pictures poured out of Missouri, MuckRock once again submitted FOIA requests to the Defense Logistics Agency for more granular data, but knew we could not count on unredacted federal spreadsheets any time soon. So we bit the bullet and submitted additional records requests to the coordinator of the 1033 program in each state. That’s fifty requests total, all submitted August 18, for each state’s inventory spreadsheet of equipment received from the 1033 program (see the table at the end of the article for the full list and links). Over the past two weeks, more than half of the states — 26 out of 50 — have provided unredacted spreadsheets detailing military equipment received by state and local law enforcement. Breakdown of state responses to FOI for 1033 inventory spreadsheet,as of 4 September 2014. Green states have provided inventory spreadsheets down to the individual agency level. Red states have indicated that they do not have or will not provide spreadsheets to the individual agency level. Gray states have yet to provide a final response. This includes states large and small, from Texas and Florida to North Dakota and Idaho. In total, spreadsheets released so far detail equipment obtained by more than 4,000 police and sheriff’s departments across the country. For most states, the spreadsheets reveal the precise equipment obtained by each department, the quantity and the date of receipt. Certain states included additional data such as the value of particular equipment, but this was not consistent across the board. The spreadsheet from Texas indicates that the Cut and Shoot Police Department received its first assault rifle, an M14, 7.62 mm rifle, in 2007. The department received an additional M14 in 2012, as well as five M16, 5.56mm assault rifles in 2008 and 2012. The agency-by-agency data reveals details about equipment allocation via the 1033 program that were previously obscured. For instance, data released by the Defense Department at the county level indicated that all participating agencies in Montgomery County, Texas had received a total of 98 assault rifles. The Montgomery County Sheriff’s Office, which has more than 200 officers, received 91 of these rifles. But the county-level data obscured that the remaining 7 rifles had been sent to the considerably smaller squad in Cut and Shoot. Similarly, of the twelve military vehicles transferred to law enforcement agencies in Montgomery County, only six went to the sheriff. One went to the police in Magnolia, which has a population of 1,400 and ten full-time sworn police officers, and another went to the even smaller town of Stagecoach, which boasts barely more than 500 residents and only 3 full-time officers. Data released for Missouri also sheds some light on the relative distribution of equipment within Ferguson and St. Louis County. The DLA’s county-level data indicate that a total of three helicopters had been transferred to agencies in St. Louis County. The agency-by-agency breakdown indicates that all three helicopters are in the possession of the St. Louis County Police Department. The Missouri agency-by-agency data also indicates that the police in Ferguson received three military vehicles but no weapons via the 1033 program. MuckRock is continuing to pursue agency-by-agency data for the remaining twenty-four states. 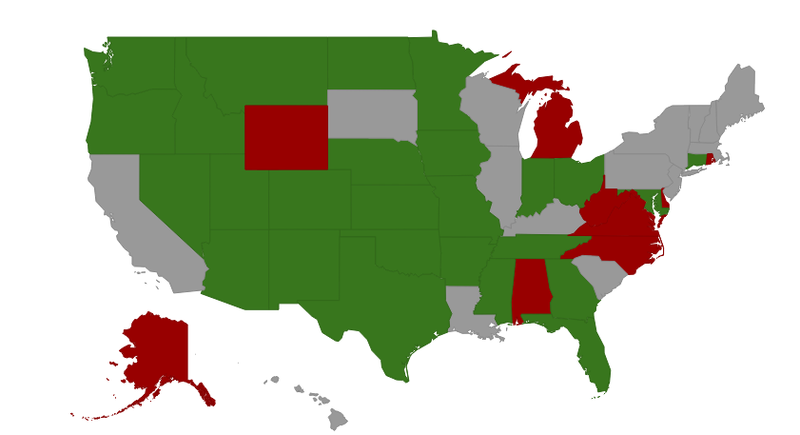 Fives states so far have rejected the request for 1033 transfer data at this level: Alaska, Alabama, Michigan, North Carolina and West Virginia. “Criminals, whether drug traffickers or terrorists, could gain an advantage if they were provided a snapshot of the response capabilities of each individual law enforcement agency,” wrote Larry Childers of the Alabama Department of Economic and Community Affairs in response to the request. Releasing data down to the agency would be “a violation of tactical security,” according to Major Jason Eichler of the Michigan National Guard. Another four state coordinators indicated that they did not have any inventory spreadsheet for the 1033 program: Delaware, Rhode Island, Virginia and Wyoming. MuckRock will be appealing nine of the above rejections and responses that no records could be found.